The Class 10 results, also known as AP SSC Results 2018, were conducted by the BSEAP from 15-29 March this year. The Board of Secondary Education Andhra Pradesh (BSEAP) will be announcing the Class 10 results on 29 April, 2018. The results will be announced on the official website of the Board: bseap.org. The Class 10 results, also known as AP SSC Results 2018, were conducted by the BSEAP from 15-29 March this year. The results are usually announced in the middle of May. The 2017 results were announced on 6 May last year. 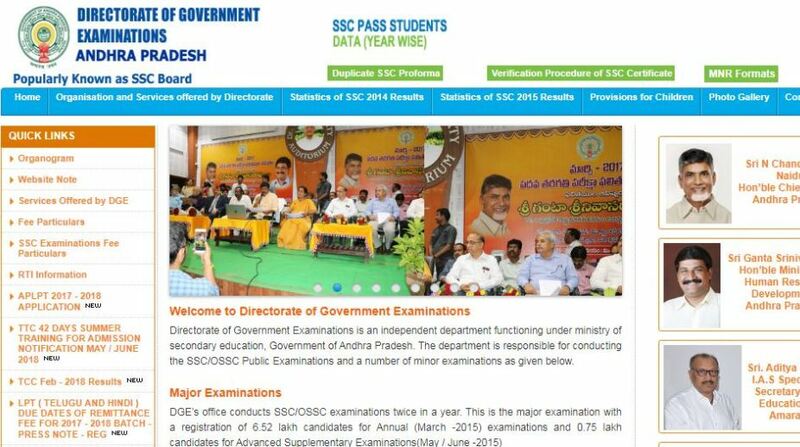 According to reports, 57,127 candidates appeared for the 2018 AP SSC Board examination, of which 56,035 were regular candidates and 1,092 were private. Reports state that the Board has completed all the formalities for declaring the results this Sunday. Candidates can also check their results on examresults.net. Results can also be obtained via SMS. To obtain results via SMS, a candidate has to send – SSC<space>ROLL NUMBER to 56263.